Are You In My Log? I Must Finish This and Go To Bed!!! This blog started out to record a bit of my history , my life and my activities over a lifetime. Very quickly it seemed to morph into a Ham Radio blog. After 77 years it is time to reflect and look back but there is still more to accomplish before I write my “Bucket List.” I love technology and it really has been the story of my life, careers and my interests. This website will continually change and be updated as new events occur and as long as I am able to do it. You will be able to see my amateur radio activities in Canada from 1953 to 1969 as VE3DIL – VE3CDX – VE3OE and then as ZL2AL in New Zealand from 1972 until the present day. I grew up in Toronto, Canada and left there when I was 32. Toronto is one of the best cities in the world in which to live. Spring and summer is magic but when autumn arrives you know its going to be a rough 6 months ahead. When I was a kid coping with the weather on a daily basis going to school and delivering the Toronto Globe & Mail at 5 Am in the morning I only remember cold hands, cold fingers and frozen ears. Blinding snowstorms and temperatures of 30 degrees below zero made me think about other parts of the world where climates are warmer and living is easier. See a short video of Toronto on the link below……. Planet Toronto from Ryan Emond on Vimeo. I live in Napier in Hawkes Bay on the East coast of the North Island of New Zealand. Napier has around 55,000 population and is by the sea on the Pacific Ocean. The area is one of the best fruit and wine growing regions in the world and the climate is temperate with no snow, ever! Mild winters are over in a few months with temperatures rarely freezing. I take pride in the fact that I haven’t owned a snow shovel for the past 43 years! You can see where I live and what it’s like at Hawke’s Bay Tourism I am 77 years old and retired. 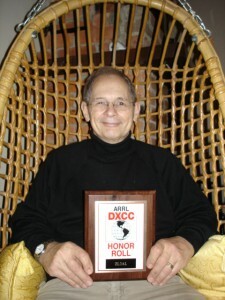 For the past 63 years I have been intensely involved with Amateur Radio. In many ways it has shaped me and provided me with many life long friends in other parts of the world that I still communicate with after such a long time. The world of Ham Radio has hundreds of organisations around the world. It is the social part of our hobby and it begins with our local radio clubs and national organisations in each country around the world. Many international groups are dedicated to one particular segment the hobby which appeals to each individual amateur. Some of those organizations are listed below. There are over 58,000 QSOs in the ZL2AL log and we may have worked . 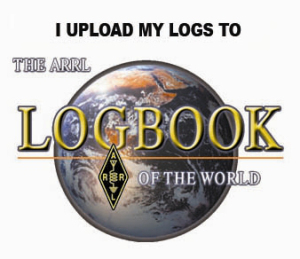 My logs are uploaded weekly to Logbook Of The World and you may be able to find a match for our QSO there. If you need a QSL you can request one through the OQRS service provided by Clublog. Thanks for visiting this page. infinitely better than the best day working! Thanks for the ZL double this evening Lee. I never cease to get a thrill when I am called from so far away. Even my sending becomes erratic from the buzz ! I remember working ZLs VKs & Js in pile ups on 10m during other cycles so sincerely hope we are not at the Max yet. May the good Lord allow us to enjoy our unique and treasured hobby for many more years to come. Lee, that was such a wonderful story. last Wednesday, at the club, about how you gained that award . After that intriguing narrative relating strategy, numerous communications via multiple media, persistence and patience, anticipation of the outcome was palpable! We were not to be dissappointed…what a beautiful trophy…an icon indeed! I came here hoping to be able to have another look at it but I’m not even sure if you have it somewhere on your site. Have you posted it somewhere so I can have another look? It was an honor to know you and spend some time with you Lee. Perhaps this electronic record will remain for ever as a monument to you and your amazing life. Wow, what a shame he had passed. I would have loved to discuss antennas with him. So You want To Go On A DXpedition? Ohms Law – Very Funny!